What did you do on your 22nd birthday? After waking at 00:30 we packed up our soaking sleeping bags and ponchos and readied the boat to leave by 1am. An early start for the big day that lay ahead. The previous evening (our last night in St Vincent) had been an interesting one... After being turfed out of the RVA Hiking and Diving Centre we were left to camp on the local beach in front of a makeshift camp of local fishermen. Worryingly, though, we had been warned against camping in the North of St Vincent, or even being out after dark, in case we were to run into any of the local 'farmers' who turn to opportunistic crime to boost their revenues. Tourists - or two young white guys with a load of expensive electronics gear - are obvious targets. We find it hard to know who to trust. Perhaps we have just been lucky so far, however we have actually been overwhelmed by how friendly everyone we have met has been, especially the locals. Most are fascinated, albeit speechless, when we tell them what we are doing. Most have never seen a sea kayak before and many never left their island so our adventure is mindboggling to them. "Wooooo... *pause*... *deep breath*... You err veeery very breeve mon" is their usual response. Nonetheless after a short night bivving on the beach and a number of unexpected downpours we collapsed camp and pushed off into the dark sea. This was the first time paddling at night for both of us and what a treat! All was good; a clear sky full of stars, a smooth sea, a light breeze on our beam. We made quick progress and were soon joined by scores of flying fish shooting in all directions. The numbers would increase dramatically when we turned on our lights to scan the coastline for outlying rocks and to spot breaking waves over shallow reefs. Then... THWACK! A rather large flying fish shot straight into Will's side. A solid bar of muscle plummeting through the air. One cracked into the side of the boat... and another one on the back deck... then George was hit. It was a bizarre scene where nature seemed to be fighting back. We had planned for stormy water, strong winds and difficult currents.. but not a bombardment of bloody fish. They were drunk - I am sure of it. Or maybe the farmers got the better of them. Anyway we made it to Owla at around 4am, had an Extreme Adventure Foods dehydrated meal for breakfast, chatted to some local fishermen about the crossing ("know it innya hart mon, ye joost goote belieeve it mon, bless" was the advice), did a final weather check then set off at 6. And everything went very well. .. Happy Birthday George indeed! We felt it was going to be a long day. By the end of the day we were tired, hungry and dehyrated. Too tired to appreciate the epic leg we had just paddled... or really to take much notice of the crack that appeared on the front deck (we are working to find someone to blame for this..). Nonetheless, all became good when we were welcomed to stay in a cottage on the Balenbouche Estate. We were welcomed in like long lost war heroes (we felt like it after the crossing) and after a quick shower we were sat down on the verander of a beautiful cottage in the woods of the estate with a pot of tea in front of us, quickly followed by a big plate of quinoa and curry. Uta, Anitanja and Verena took such great care of us - we are so unbelievably greatful for their support and generous hospitalty. 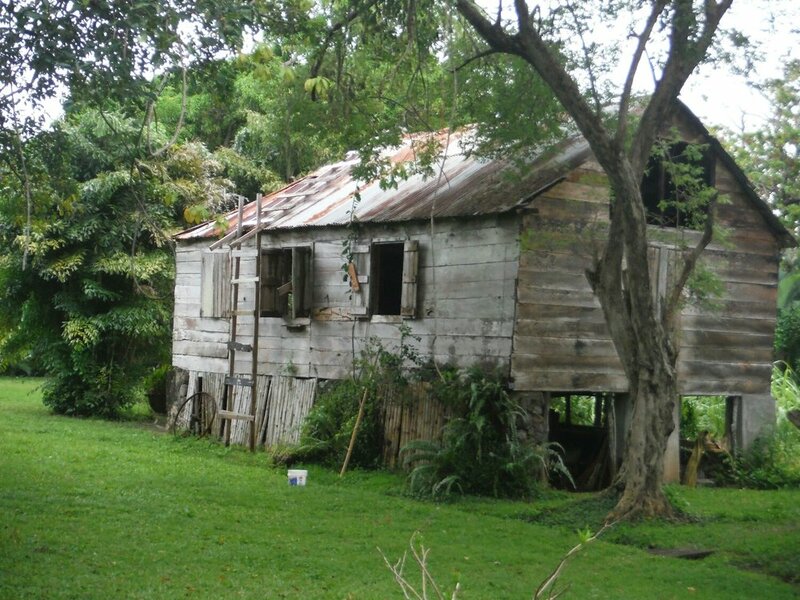 The estate itself is an old sugar plantation, complete with 18th Century sugar mill, historic plantation house and grounds, which include fruit orchards, pastures, lily ponds and nature trails. More information on the history is available here. If you are ever in St. Lucia we thouroughly recommend you pay Balenbouche a visit, be it just for the day, to stay, or just to say hi to the Lawaetz family. Balenbouche Estate plantation house. See more photos here. After our fantastic night at Balenboughe it was back on the water at 6am to head up to Marigot Bay... seperate post to come on this! So from here it will be an early start and we are off to Martinique! Another tough crossing and a very long day ahead but we are looking forward to the challenge. If you like what we are doing and enjoy following our progress, please consider sponsoring us to help us raise funds for the Get Exploring Trust. 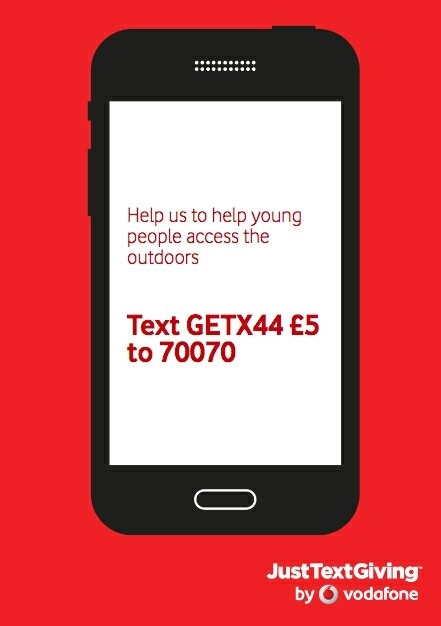 Click here to donate through Virgin Giving. Every donation, whatever size (and we really mean that! ), makes a tremendous difference to our morale. It gives us a big boost to know people are following and supporting us! Please sponsor us and spread the word!